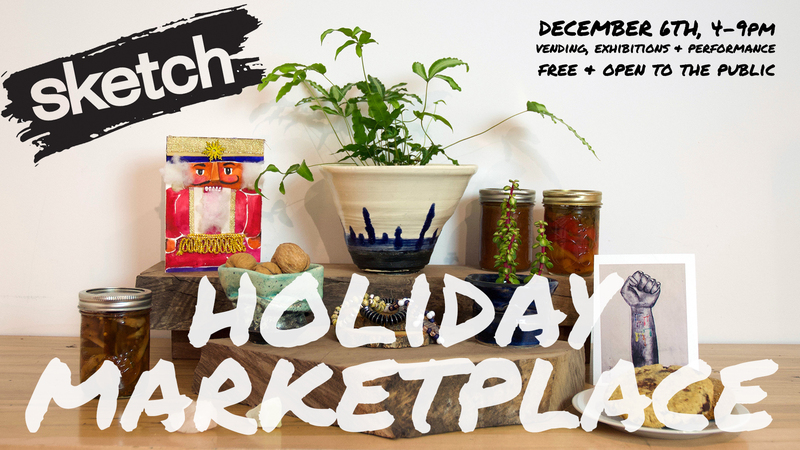 Original artwork and crafts for sale created by emerging artists and entrepreneurs at SKETCH! Food, exhibitions, performances and more! Follow us on Instagram and Twitter @SKETCHToronto for more info on our vendors. SKETCH supports local emerging artists and the incubation of arts enterprise. Learn more at www.sketch.ca. 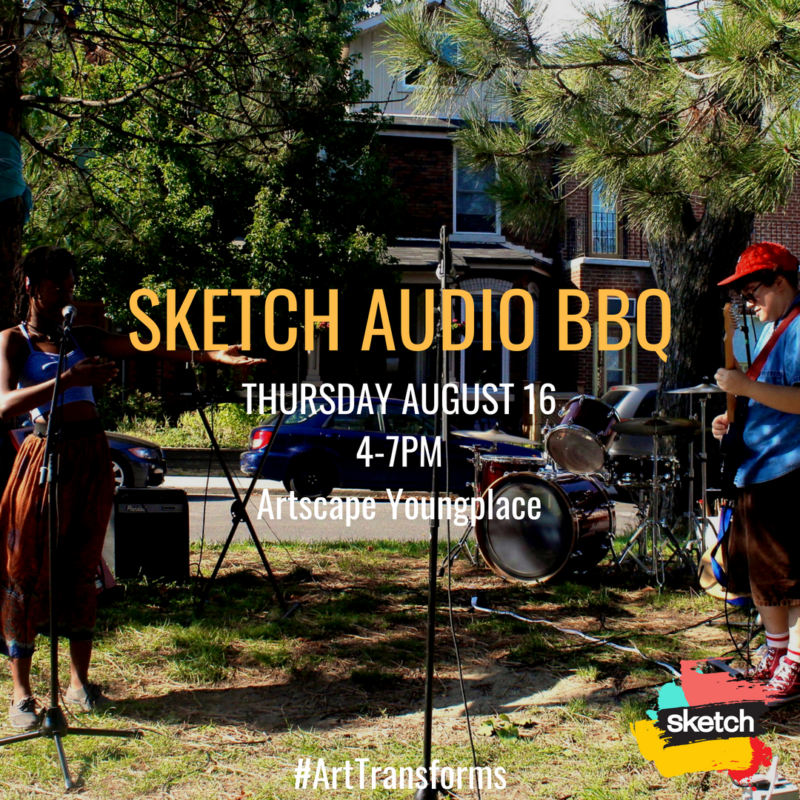 Swing by outside of AYP for performances, music, art making, and a PWYC BBQ! 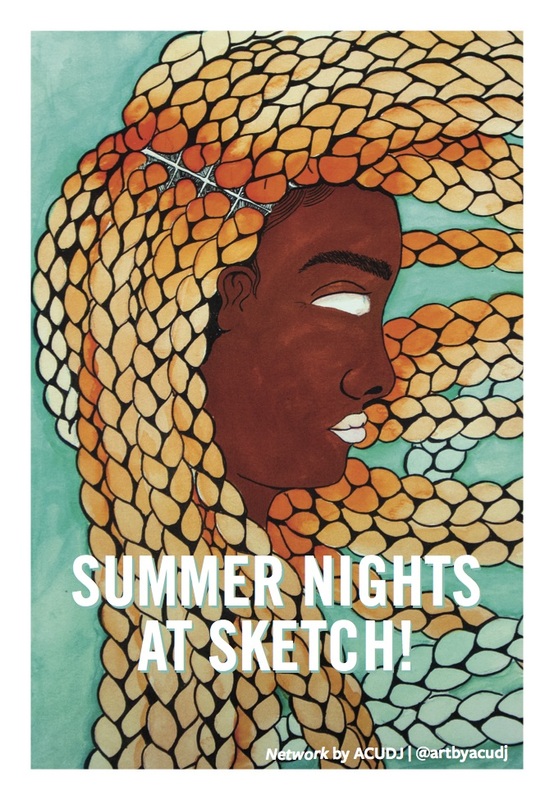 Visit https://sketch.ca/wp-content/uploads/SummerNights2018-online.pdf for more information. SKETCH is a studio to make all kinds of art! For young people 16-29, navigating poverty, living homeless or on the margins. The Toronto Art Book Fair (TOABF) is a free public event taking place June 16th – June 19th 2016 featuring curated exhibitions, 75 Canadian and international vendors, and community programming that includes a speaker series, readings, talks, launches and workshops. In its inaugural year TOABF will highlight over 150 national and international artists, publishers, designers, curators, bookmakers, writers, and performers. 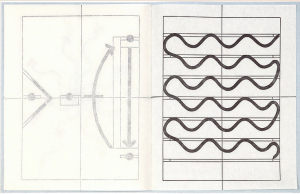 TOABF is dedicated to increasing the visibility, dissemination, appreciation, and understanding of the artists’ book and its contemporary manifestations within the visual arts field in Toronto and abroad. Independent artistic print culture has a rich narrative in Canadian art history, and is an often overlooked aspect of Canadian cultural identity. The goal of TOABF is to highlight these personal and collective stories, and elevate the artistic integrity of artists’ books by presenting artists’ books, multiples, and printed matter by Canadian and international artists to a wide audience. Nathaniel Russell was born and raised in Indiana. 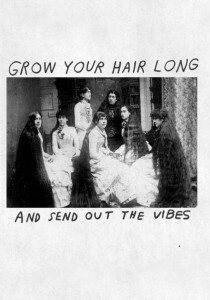 After college, Russell spent several years in the San Francisco Bay Area making posters, record covers, and woodcuts. He returned to his home city of Indianapolis and now spends his time creating drawings, fake fliers, bad sculptures, wood shapes, and music. Russell’s work is regularly shown around the world in both traditional galleries and informal spaces, usually surrounded by an expanding list of friends, collaborators, and like-minded folk. Art Metropole is a not-for-profit organisation with a focus on the production, dissemination and contextualization of artist-initiated publication in any media, especially those formats and practices predisposed to sharing and circulation. Publishing | Form | Experimentation introduces forward-thinking publications created within the past 5 years by 60 Canadian and international publishers, designers and artists. The exhibition hopes to underline the importance of the material, experiential and aesthetic qualities of the printed book, a subject more current than ever despite lamentations of its mortality. Participants: Albanese Grafik & frau Diethelm, Archive of Modern Conflict, Laura Asmus, Jeremy August Haik, Simon Bertrand, Irma Boom, Jessi Brattengeier, Erich Brechbühl, Contre-mur, Shezad Dawood, Diorama Magazine, Nicoló Degiorgis & Walter Hutton, Éditions B42, Aurélien Farina, Feed, Foreign, Policy Design Group, David Gan, Raül Garcia Gili, Harpune Verlag, Karl Holmqvist, Hubert & Fisher, Imprimerie du Marais, Pascaline Jessica Knight, Jiazazhi Press, Jin & Park, Sophie Jodoin, KALEID Editions, Mats Kubiak, Yanik Hauschild, Mona Matejic & Hendrike Nagel, La chose imprimée, Lecturis, Marcus Manilius & Fanette Mellier, Karel Martens, Monument, MOTTO Publications, Kristen Mueller, Christof Nüssli & Christoph Oeschger, OK-RM, Aurelie Painnece, Marc-Antoine K. Phaneuf et Jean-François Proulx, Walid Raad, Ridinghouse, Pier-Philippe Rioux, Julie Picard, Possibles Éditions, Anne-Marie Proulx, Thomas Sauvin, Chloe Scheffe, Rachel Skimover, Sternberg Press, Studio Fludd, The (M) éditions & Gil Rigoulet & Les Graphiquants, Étienne Tremblay-Tardif, Uncanny Editions, Jim Verburg, Voyage Collective, Sam Winston, Work in Progress, and Robert Zhao Renhui. Somewhere in the Middle is comprised of work from five Saskatchewan based multidisciplinary artists. A prairie province situated in the middle of Canada, Saskatchewan is notoriously referred to as the “middle” province. A trope that suggests it can be easily passed over, or may suffer an inferiority complex, such as that attributed to the middle child. This exhibition problematizes this notion of the “middle” by revealing the important artistic, cultural production currently taking place in Saskatchewan. These Artists address locality through a lens that unpacks larger political, environmental, social, and theoretical concerns. 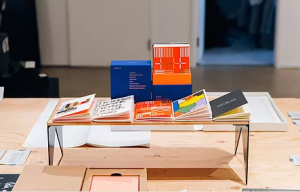 Though a seemingly disparate range of works, the underlying common thread is their rigorous production of small books, zines, ephemera and photographs. Artists: Amalie Atkins, Joi Arcand, Troy Gronsdahl, Ellen Moffat, and Kara Uzelman. TYPOLOGY is pleased to present Working Title, a pop-up exhibition presented on behalf of the first ever Toronto Art Book Fair hosted at Artscape Youngplace. The exhibition will feature a wide variety of unique and editioned artists’ books, publications, and multiples by local and international artists who have participated in our program over the past three years. The works will be accompanied by images representing the artists’ current or main practices including sculpture, installation, video, photography, and more, as well as extended labels that discuss how and why these artists engage the book format as a sideline to, or more integral aspect of, their artistic practice.